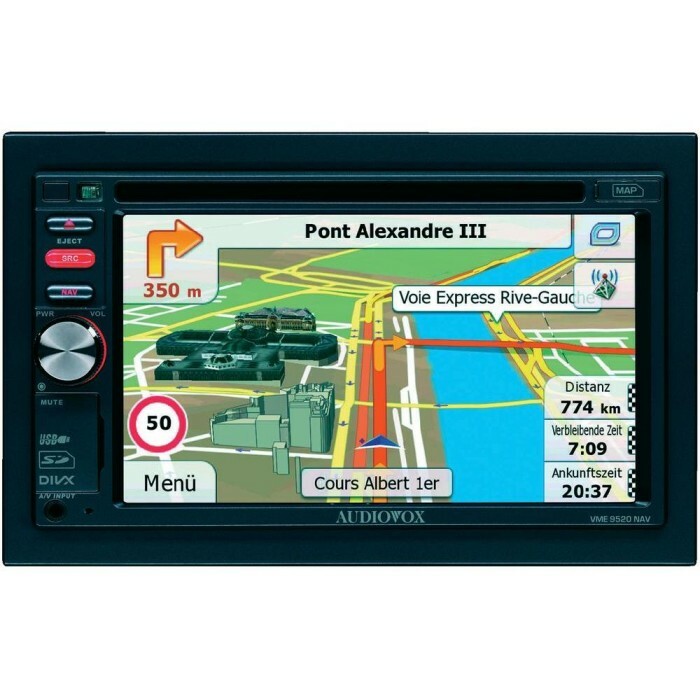 I bought the Audiovox because none of the audio head units I looked at gave me the kind of satnav that I wanted - one that was responsive, had live up to date information and was built in so I didn't have to use a handheld device. It's a solid unit and works as you would expect. It has some great features - USB, SD card, bluetooth etc. - but it's not state of the art. The interface looks a bit tired and there are a few niggling issues, like when listing the files in a folder on the SD card, it wants to sort them in date order, not the order of the tracks. My biggest frustration, though, is that this unit does not really give you up to date information on live traffic, nor does it learn from your driving habits. The traffic information is very sparse, and only seems to alert when you are already in the thick of it. And if you take the same diversion every day, say if you are on the M25 commuting, it won't pick up on the route you take as a matter of habit. So, it's a good unit, I would not have paid £600+ for it to be honest, and when someone introduces a unit that can display google maps navigation, I will be replacing it. The VME-9125NAV can be installed in your Subaru Impreza without cutting. I would suggest you visit your local store. Car: citroen C3(2003). How does 1 yr warranty work. Is it only valid if you get it fitted with with car audio centre? There is no store in Portsmouth. how should we get it fitted? The 1 years warrenty is a manufuctures warrenty, so this means that they will cover the unit for any software issues or screen malfunctions. The warrenty is invalid if the unit is not installed correctly. What else would I require to fit it. Hi will this unit fit a 2003 /2007 Renault traffic camper van SHORT WHEEL BASE HI TOP ROOF . I am also looking to install a rear view camera on the rear doors . Many thanks Gary .tel 01474 816 528 . This can be installed in your Skoda Fabia. You will need the following parts. This can fit your Citroen. Will this unit fit straight into Audi A3 2010 model? What other accessories will I need to fit this product in full working condition i.e. facia fit/sat nav aerial/rear view camera etc. You need the following parts to fit this to your Audi A3. Yeah I can't get TMC to work either. Is it disabled in the UK? Would this unit straight fit into my Skoda Octavia S TSI? hi there yes providing yours is the double dine sized manufacturer radio it will fit. I have a 2006 Zafira SRi and wondered if this would fit straight in or would I need a cage etc. Also, would I need a steering wheel controller cable and do you sell them? I recently purchased this Unit from your Manchester Store, and i am happy with the unit apart from the TMC doesnt seem to pick anything up. Is their any advice you can give me? im guessing its something to with the setting on the unit? Can you Add a tv tuner to this item?